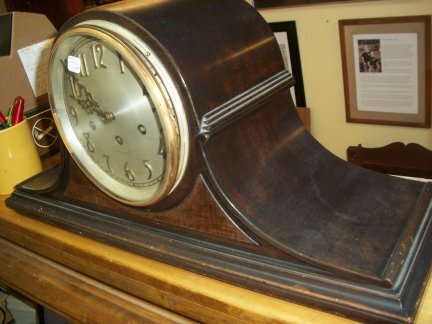 This clock was made by the Seth Thomas clock company. 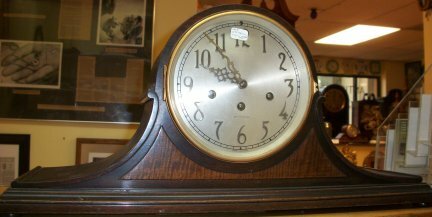 It has an 8 day Westminster chime pendulum movement. 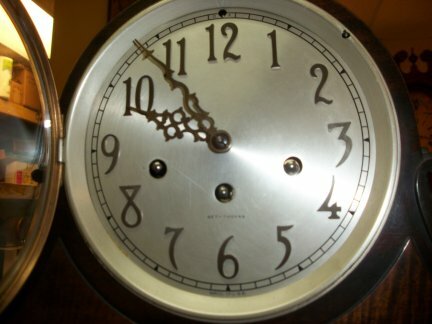 Close up view of the dial with door open. 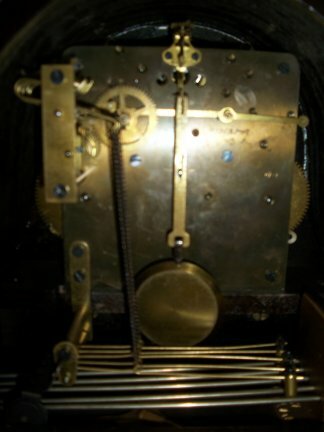 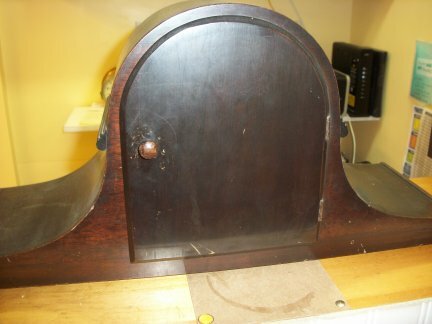 Top view of the clock from the right side.